Why don't they have this? Hairapy, I mean. Hair therapy. Or Hair Watchers. Like Weight Watchers, except you get points for trying a new headband or clipping your bangs up. Or Hair-Growers Anonymous. "Hi my name is Katie and it has been 256 days since my last haircut." All I'm saying is, we need some kind of support group. Eh? Progress! 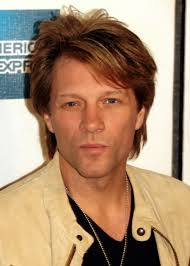 I mean, it's kind of an 80s shag with some awkward layers that we have to push through...maybe like a haircut that Bon Jovi has had (and rocked) at some point. *whispers* I have...Bon Jovi hair. "Los Angeles officials seize 8-foot pet alligator that family had kept for 37 years". I shook my head, sighed and said to grimly to myself, "We were probably only one or two pets away from being that family..."
My younger brother, Max, was always the animal-lover in the family and at any given time he had multiple pets in his room, the basement, the garage, or--in the case of 2 ferrets--in the upstairs hallway. I don't think I could chronicle all of his critters here because I honestly don't remember everything he's had, but just think of an animal that fits into an aquarium or cage and I can say with 88% certainty that it lived in our house (and escaped it's cage) at one point during our childhood. Max often expressed his desire to procure a baby alligator and raise it as his own. I can't say with complete certainty that he hasn't seriously looked into this. I don't know, you can probably find these sorts of things if you know where to look, or on eBay. Max's menagerie was no typical household-pet collection. No, he leaned towards the exotics...bearded dragons, chameleons, albino pythons, rainbow boas, iguanas...with the occasional hamster and guinea pig thrown in for good measure. And birds. We always had a bird in the house, with fabulous names like Buddy Bird, Cuddles and Tickles. And of course, the ferrets. I don't remember when he got the ferrets or how long we had them, but Smokey and Bandit lived in the upstairs hallway between my and my brothers' rooms for at least a few years. Their ferret palace, as it were, was approximately 6 feet tall. Goliath-sized, as pet cages go. It was huge, both in height and girth, this hexagonal wire cage with three levels connected by little ramps so ol' Smokey and Bandit could scamper around and enjoy the square-footage. Inside was a litter box (how convenient), some food, and there was one of those hamster water bottles that attached to the side. Each level had a nice collection of shredded, worn old towels that the ferrets slept in and on and under, and after a few weeks the ferret musk would get to the level that necessitated washing these rags to keep us all living in harmony. The cage had these wheels on the bottom; how convenient! As if you could just casually roll it about from room to room. Oh that ferret hut, in the way again! Just scootch it right over to other wall and that will really feng shui the heck out of this area. As if my mom would find it just a smidge in her way along the route to dropping off a laundry basket full of clean clothes so she'd just bump it a few feet to the left with her hip so she could pass by more freely. No no, this was not the case with this particular cage, wheels or not. This structure was a permanent fixture and it settled into the upstairs hallway in the way that your great grandfather's antique parlor organ settles into your mom's contemporary living room. It doesn't really go, no one really likes it, but there it is...it's there, it's inhabiting the space, it's not leaving anytime soon so you eventually sort of embrace it and accept it and you get used to it. Until you bring a friend over and see your house through their eyes and realize "hmm, maybe that doesn't quite blend in the way we are all hoping and pretending it does. Rats." Anyways, Max's ferrets lived in this mansion in the hall during the period of time that Max also probably had a few lizards and a snake or two and, most importantly, during the reign of Peeps. 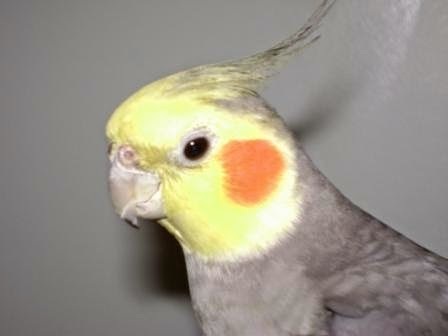 Peeps was Max's cockatiel, a most beloved and enduring pet. Max got Peeps when he was in third grade and he lived with us (in my parent's house) until Max went to college and Peeps needed to find a new home (although I can't believe my mom didn't just "send Peeps to the farm where he had plenty of room to fly" *nudge wink*). Max and Peeps shared a bond from the beginning. Peeps would ride around on Max's shoulder, eat food out of Max's hand, and had free reign of Max's room (and subsequently, most of the upstairs). He was almost dog-like in his devotion to Max...he liked to be around him all the time and he was even known to wait outside the bathroom door while Max showered. Sometimes Peeps would wander around the house while Max was otherwise occupied. I came home one time to find all of my earrings pulled out of my jewelry holder and in various stages of ruin on my dresser. Next to this was a note from Max that said something to the effect of: "Katie, I am sooooo sorry but Peeps chewed on your earrings." It was probably followed up with "Please don't tell mom" because big sisters are constantly covering for little brothers. That Peeps. So mischievous. Overall, Peeps was a good bird. He whistled happily, he was friendly and curious and had a quirky personality. But ever so slowly, Peeps began to turn. I don't know what it was that caused this, maybe old age, maybe he was lonely, who knows. He got a little bitter and the friendly gleam in his eye turned a bit sinister. He started biting, HARD. He would hiss at you and lunge towards you with the intent of taking a chunk out of your hand if you approached him. But he remained devoted to Max. He just kind of turned on the rest of the family. Peeps took a particular disliking towards our mom. This was not a wise move, because it was her generosity that allowed Peeps such a luxurious lifestyle, but his little bird brain didn't reach that far. In his brain, she was simply Target Number One. Peeps' favorite activity after he broke bad was to climb to the top of the ferret tower in the hallway and wait. He would stay up there as long as it took for my mom to wander by. If anyone else walked by, he would merely glance down and carry about his business. But when my mom walked by...oh, it was on. Game time. He would kind of hunker down in the ready-set position, then dramatically open his wings to their full span and wait just a beat before flinging himself off the top of that cage with no regard for his personal safety and dive-bomb her, kamikaze style, aiming always for her head. Peeps' wings were clipped so he couldn't actually fly, but he could certainly use the cage height and gravity to his advantage. Peeps was a little bird but when he was coming straight at your head in an angry rush of feathers and squawking with evil intentions, it was no joke. What followed was usually some form of a scream from my mom ("MAAAAAAAAX!!! COME GET THIS BIRD!!!") with arms waving furiously over her head to fend off the onslaught as she ran from the hallway through the master bedroom and into the bonus room. Peeps always pursued on foot with surprising speed for a bird. I always wondered what would happen if he caught her. What was end-game here, Peeps? I think about Peeps every now and again and wonder what happened to him. Old cranky Peeps. May he rest in peace, probably (or good riddance, on behalf of my mom). But I believe that Peeps is still kicking out there somewhere. Staying alive purely out of spite, reliving his days of glory atop the ferret tower in his kingdom of our upstairs hallway. Peeps. This is really him.